The Slovak National Gallery was established by the Slovak National Council by law (Act No. 24 of 29 July 1948). This is relatively late for Europe and it was the result of Slovak ambitions are the war, promoted mainly by Ladislav Novomeský. Historically, it created as a traditional museum of Fine Arts of local as well as wider European provenance. From the beginning, the collection of artworks from the 20th century as well as mapping the contemporary artistic culture was a vital task of the Gallery. In the course of its development, the collections were expanded to include other spheres of visual culture. The SNG was enriching its activities by the acquisition of artefacts of Applied Art, Design, Photography and Stage Design and exploring the specific phenomenon of Naïve Art. Later, the collectors’ program expanded to include artefacts associated with the development of Architecture and Other Media. The collection of the SNG includes now about 70,000 items, many of which are part of the national cultural heritage. The Gallery fulfils an invaluable role in the area of protection and care for monuments of tangible and intangible cultural heritage (several buildings where the Gallery resides are national monuments). The SNG became the guardian and caretaker of the national cultural heritage in the area of historical but also modern and contemporary art culture over the years and its influence spread from Bratislava into other parts of Slovakia. SNG Today – The complex of buildings in Bratislava comprises of the original structure of the Baroque Water Barracks with an additional structure (the bridge and administrative building from the 1970s) and the Esterházy Palace (built in 1870). 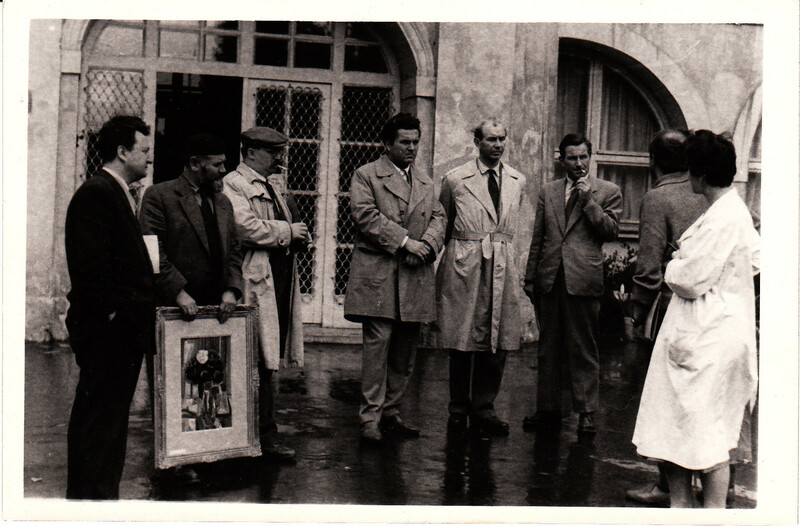 Intensive discussion concerning the official seat of the Slovak National Gallery began right after its founding. The premises of the former Water Barracks on the Danube River banks were allocated for the needs of this institution at the end of 1950 and the beginning of 1951. 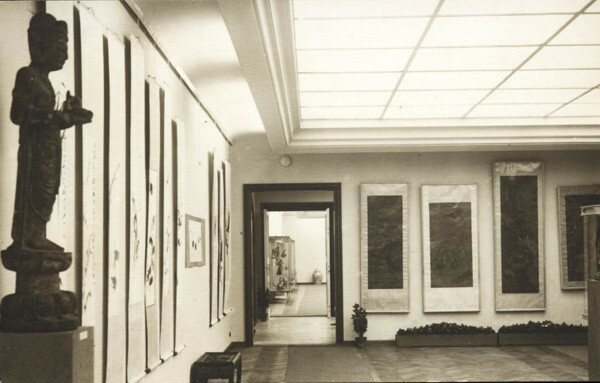 The gates of the gallery were opened for the general public on May 9, 1955, when the reconstruction of the premises was completed (interior by arch. F. Florians and interior by arch. K. Rozmány). Shortly after the opening, the gallery management stated that the premises of the Water Barracks did not fit the gallery's needs in terms of capacity. In 1963, The Association of Slovak Architects was asked to design an additional structure for the Slovak National Gallery in Bratislava. Four teams of authors participated in this competition and the commission evaluated them in the following order: the design of arch. V. Dedeček was the best; the team of prof. E. Kramár took second place; the team of professor prof. J. Frágner finished third and the team of arch. M. Beňuška (town-planning design) was fourth. The winning design underwent several expert analyses and assessments and the original was suitably re-done by architect V. Dedeček. The final design differentiated the individual structures and floors according to height and mass. The architect opened the view in the courtyard and the Water Barracks by lifting the river bank wing of the building so that the structure on the columns was replaced by a bridge construction, i.e., "the Bridge" (designed in cooperation with the engineers from Mostárne Brezno factory). 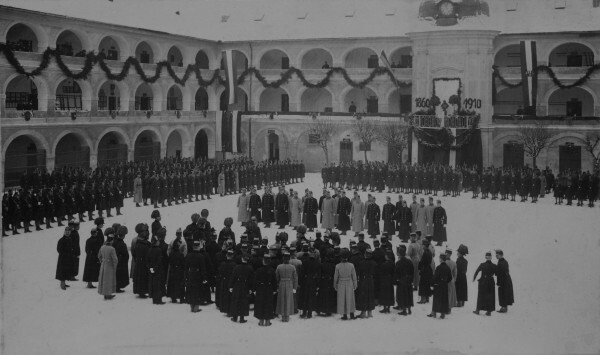 The new premises included permanent exposition space (The Bridge), the administrative building, the amphitheatre and library. The difference between the architectural designs (1963 and 1968) also reflects the opinion shift in the architecture of the 1960s and 1970s. The concept, whose torso was realised, celebrates and even monumentalises the revival of architecture in the 1960s. 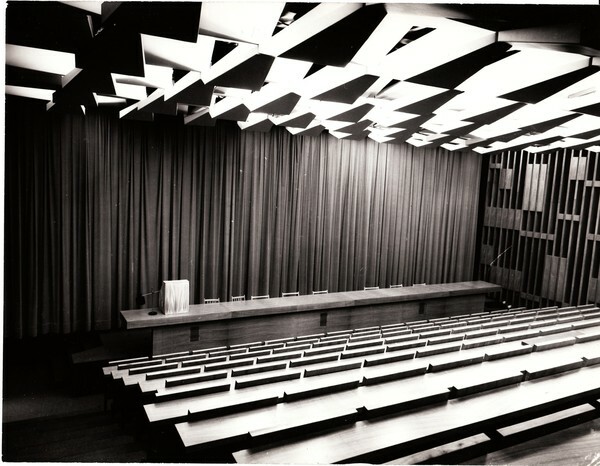 The building was ceremonially opened on 1 March 1977 with the opening of the permanent expositions to the general public. 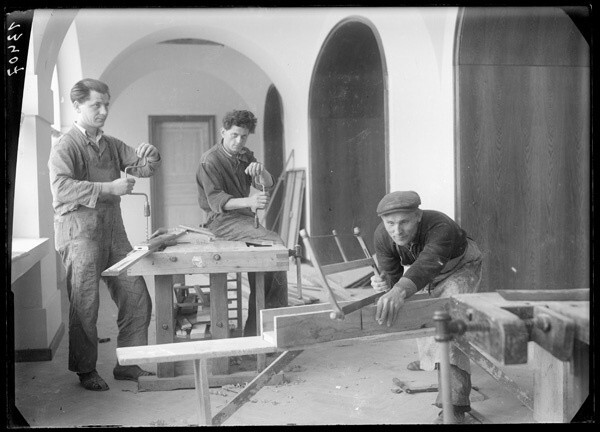 Despite the permanent decrease of prices of materials and technologies and many construction shortcomings, the building of the premises was a rare project in Slovakia. It was not only the first modern structure in the field of culture, but it is still the only new large gallery structure in Slovakia. The Slovak National Gallery is working on plans for the reconstruction of the entire premises (Martin Kusý, Pavol Paňák and team - the studio Architekti BKPŠ, are the authors of the design). The Slovak National Council decided to establish the SNG by law (Act No. 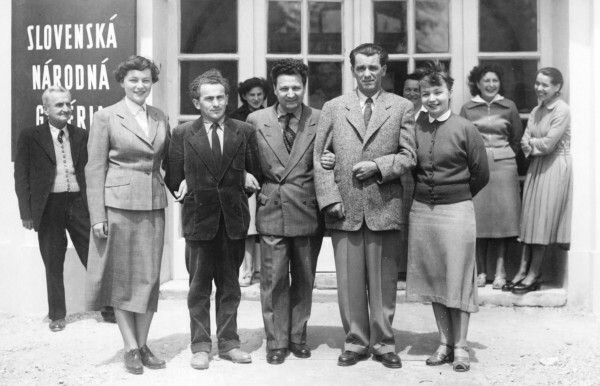 24 of 29 August 1948). 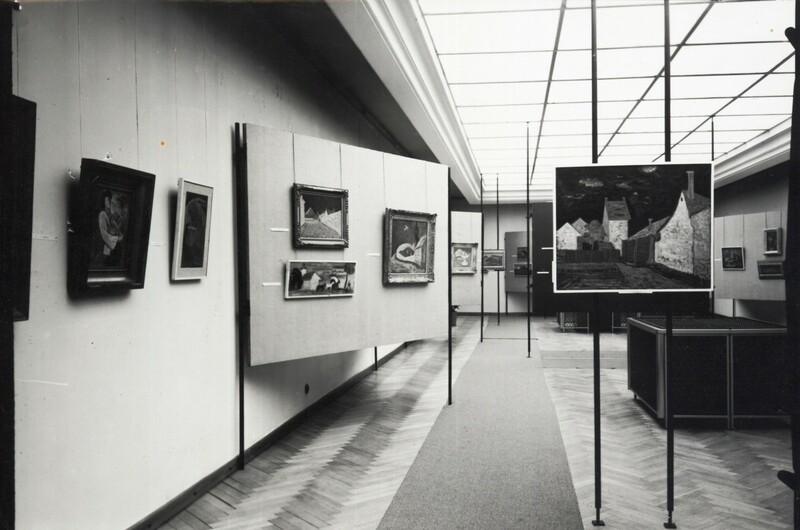 The Exhibition of Paintings of Old Masters from the SNG Collections (1949), commissioners: A. Günterová-Mayerová and Ľ. Kraskovská, was the opening exhibition. On 14 February, the office of the SNG launched its operations. 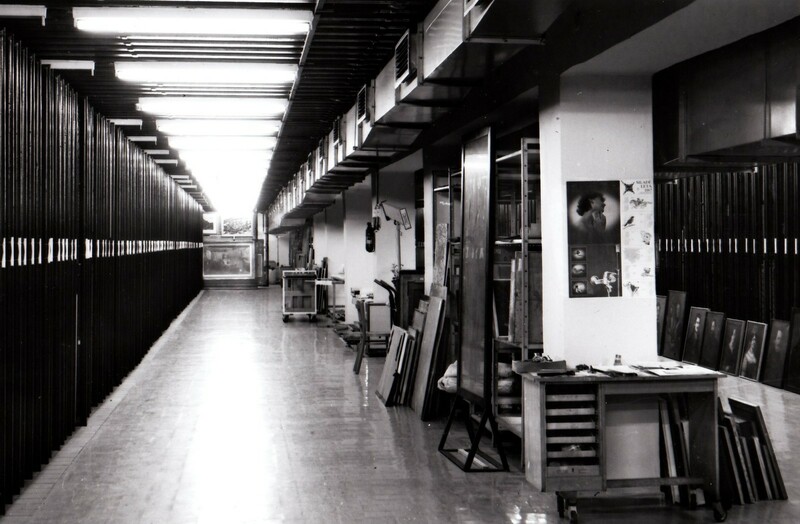 It began with two administrative employees in two rooms with a basic inventory of approximately 500 books (mostly donated by the University Library) and approximately 500 works of art, which were taken over from the Slovak Museum and the former Ministry of Education, Sciences and Arts. In this period, four exhibition rooms with a total area of 355 m2 were available. The gallery did not charge an admission fee. On 9 May, the newly reconstructed building of the former Water Barracks was opened as the new seat of the SNG (it was reconstructed by arch. F. Florians, interior by arch. K. Rozmány). The permanent expositions on the occasion of the 10th anniversary of the Liberation was opened: Art of the 19th and 20th Centuries - 150 Years of Slovak Fine Art Expression. The ASA (Association of Slovak Architects) in Bratislava announced a study assignment for the architectural-town planning design of the new construction and adaptation of the SNG. 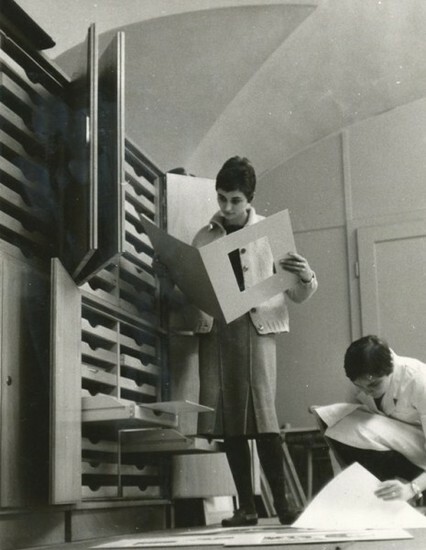 On 16 December 1963 and 3,4 and 6 January 1964 the assessment of the designs took place, the commission evaluated the design of V. Dedeček as the best. On 1 March 1977, the SNG was ceremonially re-opened and its permanent expositions were opened to the general public. The permanent exposition of Slovak Applied Arts according to the concept of A. Žáčková - Kmošová was opened for the first time at Zvolen Castle where the art-spatial design was implemented by P. Peressényi. The UPV SNG collection of stage designs was created - 1st acquisition. The Fine Art Archive was established as an archive of special significance. The architecture collection was created. The reconstruction of the Water Barracks was implemented (architect J. Bahna). 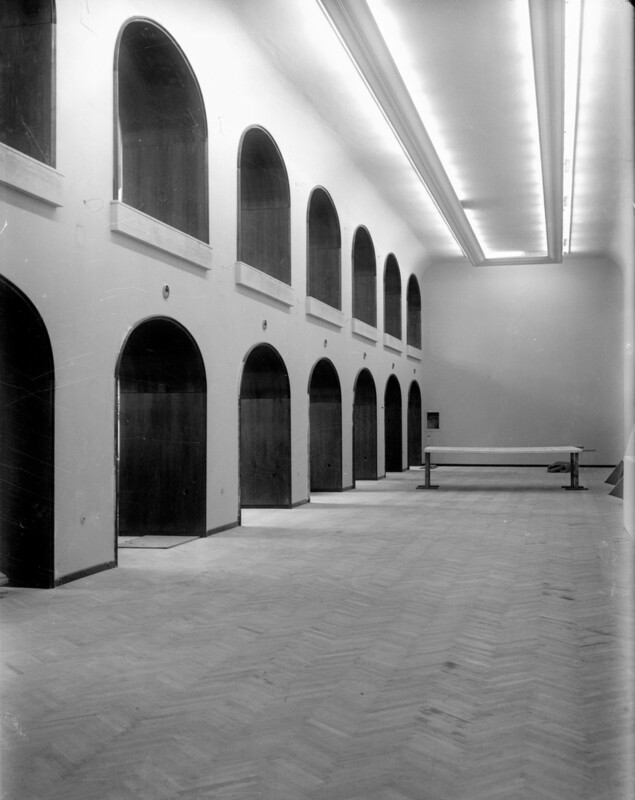 The following work was implemented from the design of the second floor: partial lowering of the ceiling, replacement of carpeting by parquet floors in the exposition rooms and artificial stone in the hallways, change of lighting, segmentation of glassing and arches in the hallways; passage to Esterházy Palace (J. Bahna). In May, two permanent expositions were opened at the Strážky Chateau: Historical Library (commissioners I. Chalupecký and Z. Ondrejčeková) and the Collection of Historical Furniture and Arts and Crafts (Commissioner A. Žáčková). A poster was published regarding the exhibitions. 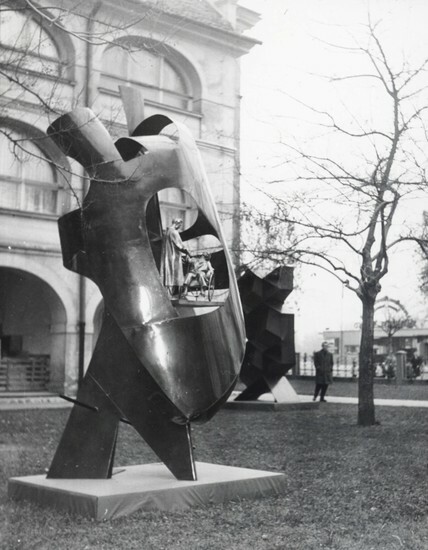 In July, the exposition of Modern Slovak Sculpture of the 20th Century opened at Strážky on the premises of the chateau park (commissioner Zora Rusinová). In November, the permanent exposition of the Gallery of Naïve Art in Pezinok at Schaubmar's Mill was opened (commissioner K. Čierna) and an information leaflet regarding the exposition was published. On 31 March, the bridge was closed due to technical reasons. The first architectural competition for the reconstruction, modernizing and additional construction of the premises of the Slovak National Gallery in Bratislava was held. 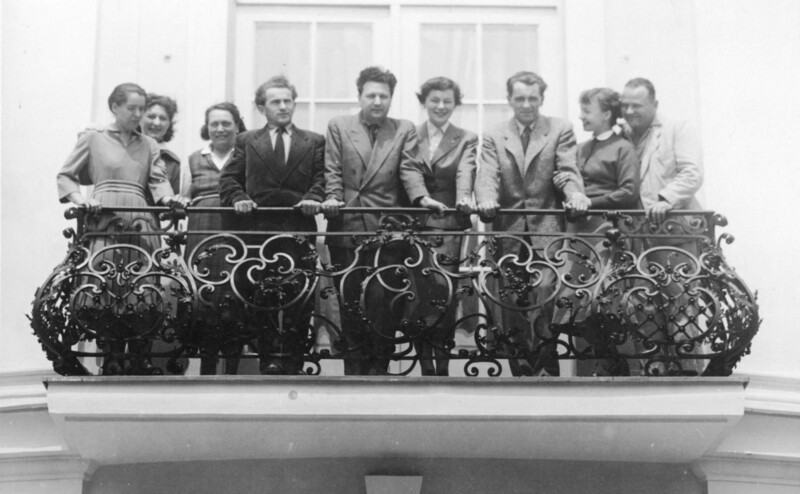 The second architectural competition was held (chair architect Gustav Peichl, Vienna). 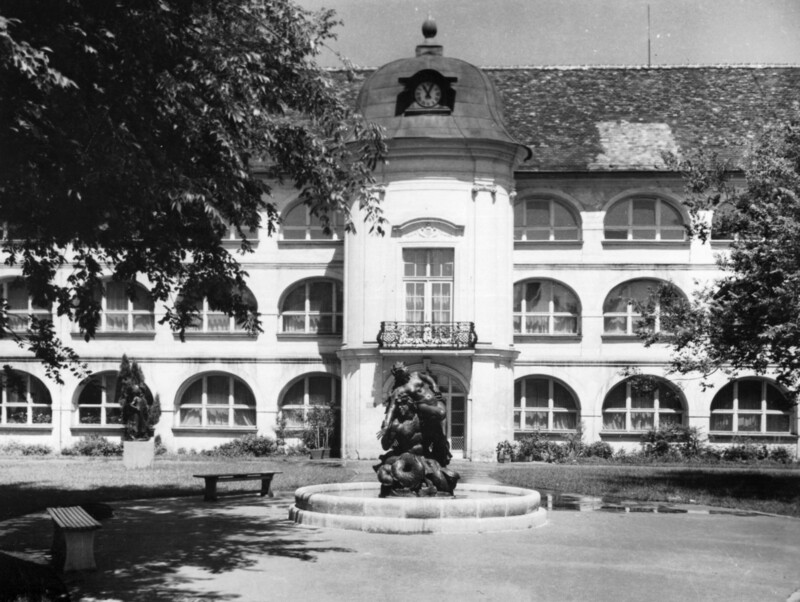 The reconstruction of Esterházy Palace took place. The budget costs for construction in the amount of 1,037,082 SKK were approved through Slovak Republic Resolution No. 284 of 21 March 2007 regarding the proposal for the new design for reconstruction, modernizing and additional construction of the premises of the Slovak National Gallery in Bratislava.